The QNIX 3216R, also referred to as the QNIX UHD3216R Real 4K, is a Korean display which delivers a stunning image quality and a solid performance for a very appealing price. 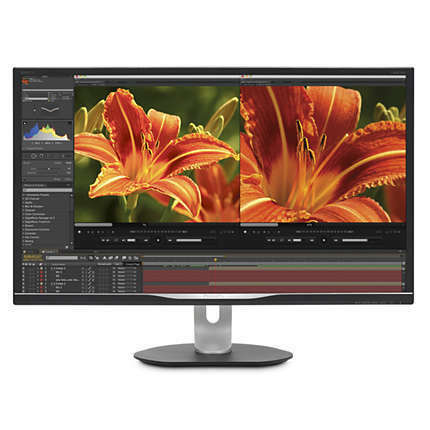 In fact, it costs nearly half the price you’d pay for a popular-brand 4K monitor. Its IPS panel and 4K Ultra HD resolution make for the flawless picture equal to the premium screens of much more expensive displays while AMD FreeSync technology takes care of performance. However, in order to make it tick just the right way, you will have to tweak a few settings here and there – all of which we will cover in this review. The QNIX 3216R 4K monitor features an AHVA panel M320QNA01.0 developed by AU Optronics. It’s essentially an IPS panel which offers 178-degree viewing angles, 5ms response time speed, and 10-bit color support achieved through dithering (8-bit + FRC). 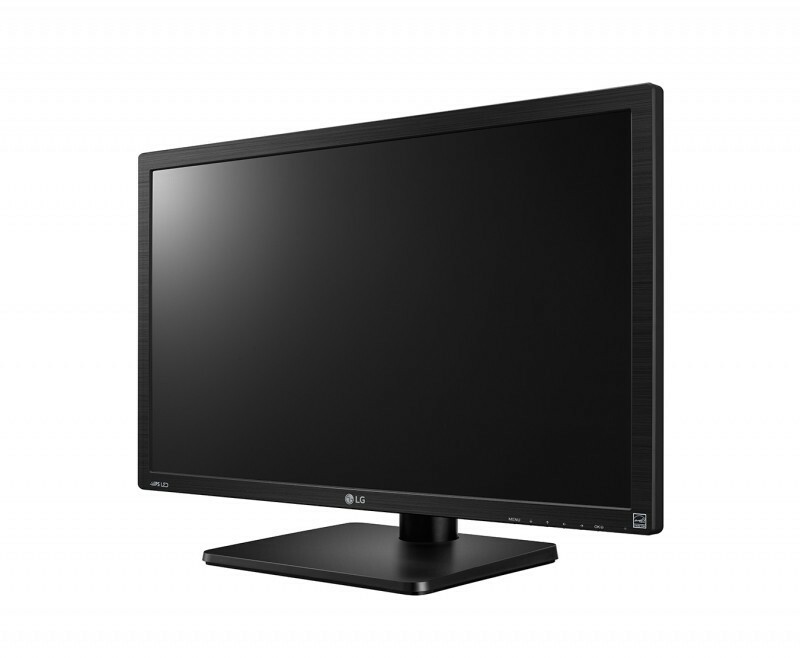 The monitor suffers from minor backlight bleeding which is an expected consequence of its IPS panel. More importantly, the screen is flicker-free and features a blue light filter which protects your eyes. When viewed from above, the so-called Shadow Effect appears on the bottom part of the screen which causes a color shift in certain dark tones. This isn’t all that bothersome as it only appears from the angle you’re likely not going to watch the screen at. This would’ve been easily solvable if the monitor was height adjustable or offered a more generous tilting angle, but it is acceptable nevertheless since the image quality is simply astonishing, as long as you’re not looking down upon it. To improve contrast and color quality, be sure to enable the RGB 4:4:4 pixel format in your graphics card’s control panel by selecting the ‘Full RGB’ output dynamic range – in case it’s set to ‘Limited’ by default. The QNIX 3216R input lag amounts to around 30ms which may be suitable for the everyday use and even some casual gaming, but in competitive gameplay, it can certainly cause trouble. Fortunately, you can enable FreeSync in the OSD (On-Screen Display) menu which will reduce the input lag to around 15ms, that is as good as any 4K 60Hz monitor can generally do. It doesn’t matter whether you have Nvidia or AMD graphics card, the input lag will be reduced either way. Naturally, only with an AMD FreeSync compatible graphics card will you benefit from the variable sync. The QNIX 3216R FreeSync range is 48-65Hz by default. Once again, a little tweaking goes a long way as you can extend the dynamic range to around 35-65Hz by creating a custom resolution. Within the dynamic range, you will be able to maintain a more stable FPS (Frames Per Second) rate while eliminating screen tearing and stuttering as well as further reducing the input lag. 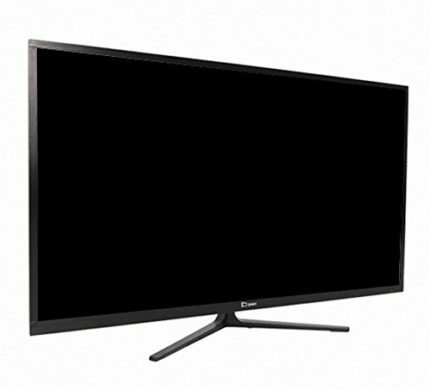 The IPS panel of the QNIX 3216R display provides a 5ms response time speed with gray to gray pixel transition. Although there is no evident ghosting in the everyday use, there is visible trailing of the fast moving objects in the fast-paced video games, though not more than expected from a 4K IPS panel. If you’re looking to pair the monitor with a PS4 Pro, be sure to download the QNIX 3216R firmware to improve the compatibility issues. Unless you speak Korean, you will want to change the OSD menu to English and you can do by following these instructions: Open up the Menu, scroll all the way to the last option at the bottom of the first column, then press ‘Ok’ two times which will lead you to the third column where you can simply select the English language. The navigation through the user-friendly menu is quite easy afterward, especially if you use the provided remote controller. There are seven OSD buttons placed on the right side of the bottom bezel which can be used for the following functions: LoS, Hot, Source, Menu, Volume, 4:3, and Power. The LoS (Line of Sight) feature allows you to place a custom crosshair on the screen with two adjustable colors and three different styles. The ‘Hot’ key swaps the picture settings to the pre-calibrated gaming modes including Extreme, RTS, and FPS. The rest of the hotkeys can be used to swap between input sources, adjust the volume of the built-in speakers, etc. The Picture in Picture and Picture by Picture modes are available as well. The design of the QNIX UHD3216R monitor consists of thin bezels with a dark matte finish which makes for a stylish appearance. However, the ergonomic aspect of the design is quite poor as the monitor is tilt-only and the stand is rather short and lacks height adjustment. There is a VESA mount but it requires M6 bolts as opposed to the standard M4, so you will have to get a bit crafty if you choose to hang the monitor on the wall or a mounting arm. Lastly, the screen surface is coated with a grain-free matte finish. Connector ports are as follows: two HDMI 1.4 and an HDMI 2.0 (with HDCP 2.2) – all of which support MHL 3.0 for content streaming of the compatible devices, a DisplayPort 1.2, a VGA, an audio line-out and line-in for the 2x5W built-in speakers, an SPDIF-Out, and a single USB port for firmware updates. FreeSync is supported via the DisplayPort. The QNIX 3216R price amounts to $400 at the moment (July 2017) which makes it the most affordable 32-Inch 4K display by far. Add to that its flawless image quality thanks to its IPS panel and smooth performance once properly tweaked, and it’s the perfect deal. The QNIX UHD3216R is also available as the pixel perfect version, the QNIX View 3216R, for an additional $65. 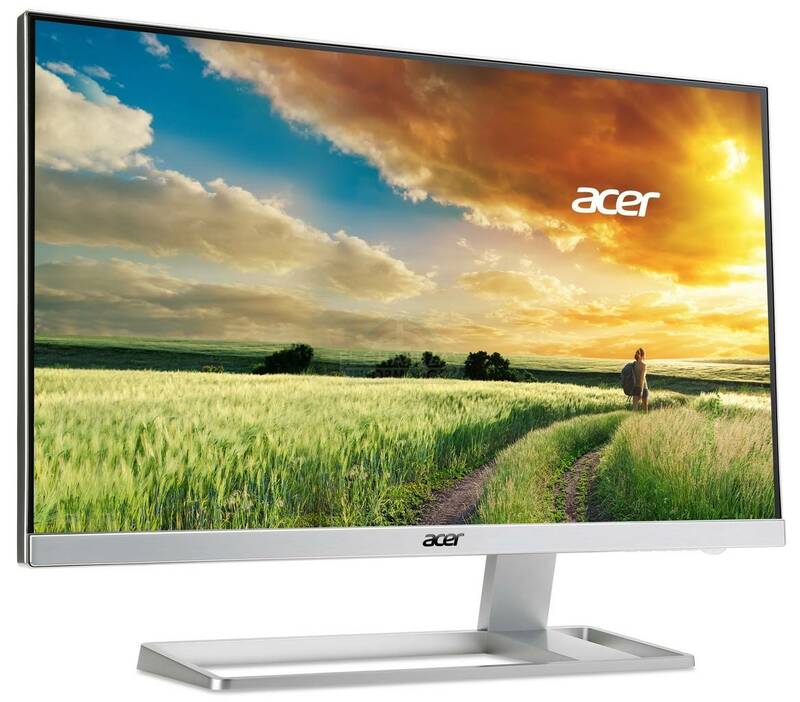 Our reviewed model includes a five dead pixel warranty meaning that the monitor will be marked as defective and replaced if it has over five dead pixels; ours had none. As previously mentioned, the other more popular brand’s 32-Inch 4K models cost nearly twice the price of the QNIX 3216R. Not to mention that there’s a very limited selection of 4K monitors beyond 28-inch and under 40-inch in size. A noteworthy exception would be the AOC U3277PWQU with a VA panel. In comparison to other similar Korean monitors such as the Crossover 324K, the Qnix offers a better performance at a better price. Sure, the 4K displays have significantly dropped in prices recently, but most of those great deals feature monitors between 24-inch and 28-inch in size. The next available screen size for a 4K resolution monitor is 31.5-inch or 32-inch, but those are still quite expensive and scarce; the QNIX 3216R to the rescue! After you adjust a few settings, the QNIX UHD3216R 4K monitor will deliver a smooth performance along with its immersive image quality that only gets a bit flawed if viewed from above. These imperfections are easily tolerable after you consider the price of the display. To sum up all the required adjustments: select ‘Full RGB’ pixel format in your graphics card’s control panel, follow the instructions above to change the OSD to English, enable FreeSync in order to reduce input lag, increase FreeSync range, and lastly, download the provided firmware and enjoy. The QNIX 3216R offers a crisp 4K UHD resolution and vibrant colors thanks to its 32-inch IPS panel. Performance-wise, it does require some tweaking and adjustments, however, it can all be done in a matter of minutes if you follow our instructions. In the end, you get an amazing image quality and smooth performance at nearly half the price of the other similar displays.